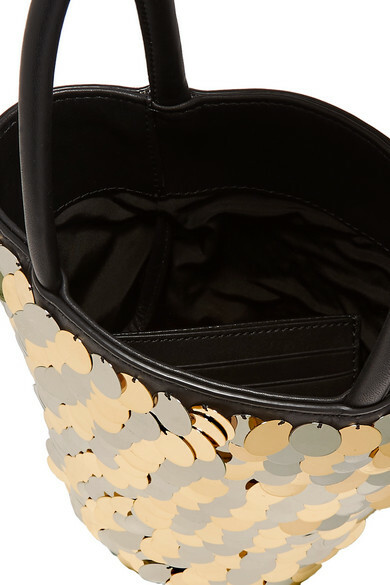 If you're already a fan of Alexander Wang's signature 'Roxy' bag, you'll love this sparkly new version - it's the perfect style for a season packed full of parties and events. 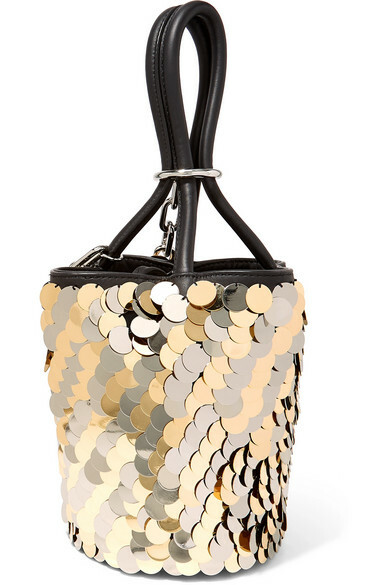 Made from leather in a mini bucket shape, it's covered with gold and silver paillettes that reflect the light brilliantly as they move. 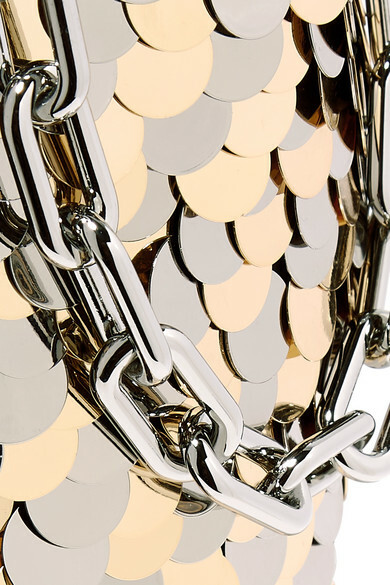 It's finished with the brand's iconic bike chain and has handy card slots inside. 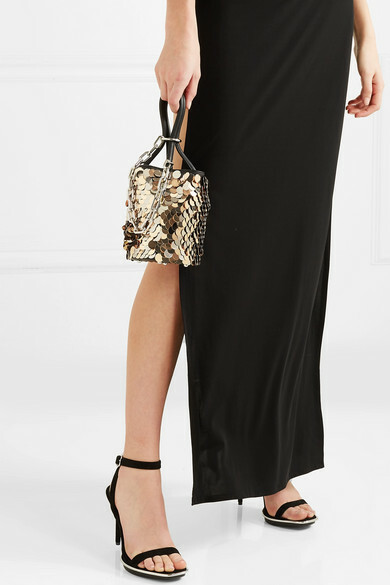 Shown here with: Agent Provocateur Dress, Alexander Wang Sandals.